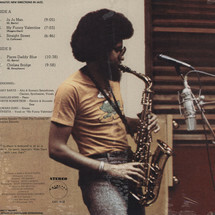 With Ju Ju Man (1976), Gary Bartz cemented his developing reputation as one of the strongest, most distinctive young reedman players of his time. 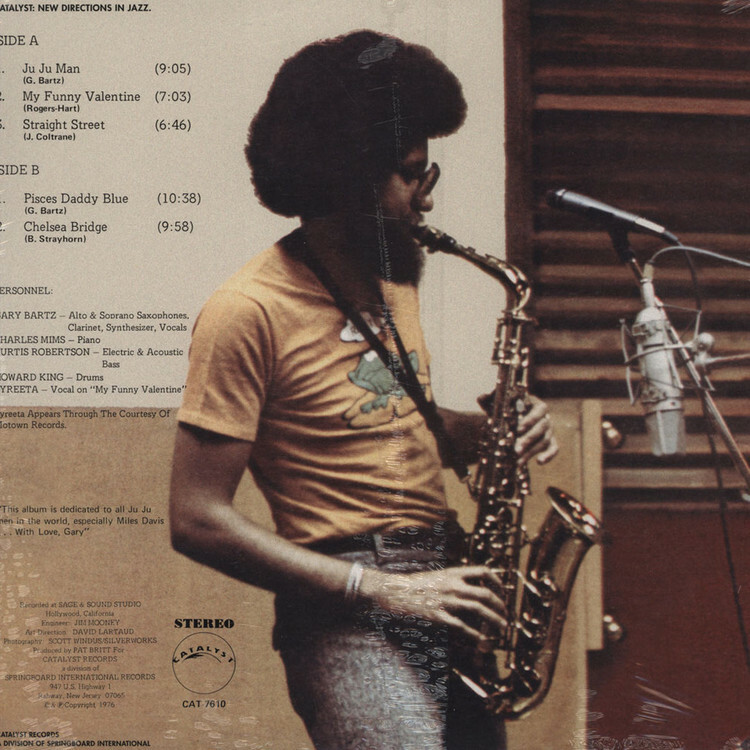 The album had nothing to do with gimmicks: it’s simply straight-ahead Gary Bartz, backed by a superb rhythm throughout featuring Howard King, a young, compulsively fiery percussionist who had matured nicely working with Bartz for some four years. The section also included Charles Mims, a versatile pianist who could lock into a groove and work it for all its worth, while Curtis Robertson provided a solid, cohesive foundation for Bartz’ driving saxophone. The highlight of the album might be their sensitive accompaniment to Syreeta’s soulful rendition of My Funny Valentine.